This one is sure to be loved by children of all ages! 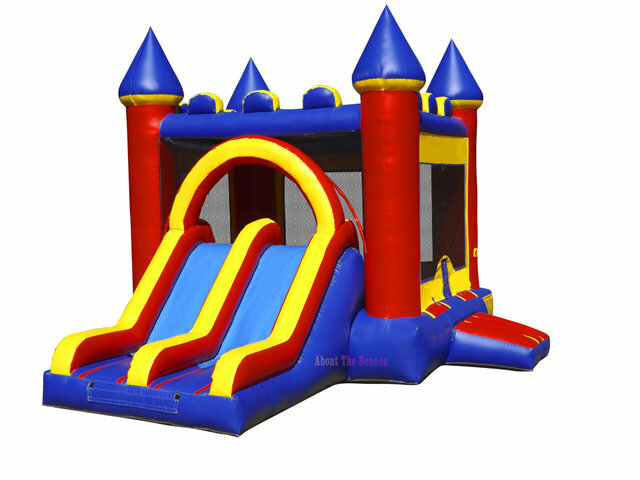 The Dual Lane Castle has ample interior bounce space, interior basketball hoop and a double-lane inflatable slide to accommodate more youngsters at once. Perfect for any event or gathering.